As an Adult Ed teacher in Maine, I taught creative writing and Italian. My classes were made up of adults from various backgrounds. What prompted me to teach Adult Ed was the memory of my mother. She had to quit high school during the Depression to go work in a factory but her love for learning never ceased. She married and raised 3 children and when she felt we were old enough (teens) to be without her supervision, she went back to school at night and earned her high school diploma at the age of 55. Later, she began attending Harford Community College where she distinguished herself academically. She never finished because of failing health, but she left a legacy that is wonderful. My children and I hold Masters degrees and 2 of her great-grandchildren, ages 14 and 16, are both in college. They are highly gifted and talented students. In the MD State Prison system, I taught conflict resolution skills and did pre-release workshops with inmates. As a lead facilitator for the Alternatives to Violence Project, I spent over 10 years doing this as a volunteer. I even trained men to become co-facilitators and they were outstanding! One group actually designed the pre-release workshop with me and at the 2004 International Conference in New Zealand, I was a presenter. I was able to share with participants from all over the world what the men and I had designed. This workshop enabled inmates to face the challenges they would meet upon release. As a teacher for 35 years, I taught every grade except kindergarten. My teaching experience extended to Adult Ed in Maine and Maryland, high school English in a Maryland psychiatric facility, and to inmates in the Maryland state prison as well. Teaching and writing have always been my passions. I retired early from teaching and turned to writing full time when the death knell sounded on my creativity in the classroom. We were being forced to “teach to the test” and that was something I refused to do. I longed for the days when I heard students saying “ Gee whiz! Three o’clock already?” I knew I had to be doing something right! The projects we planned and carried out were amazing! How about these? I placed my fourth graders in “medical school” to learn Greek and Latin roots: Upon “graduation from medical school”, the “doctors” were then invited to perform a “rootectomy”. My classroom was turned into an X-Ray lab and operating room with supplies donated by the local hospital. Another one of my classes wrote a “term paper” based on their three major fears: death, divorce, and nuclear disaster. I wanted them to learn the key elements of writing such a paper and as a result of our playground conversations, I discovered what concerned them the most. They weren’t satisfied with just writing about their fears. They wanted to know what other fourth graders in the school district were afraid of so they took a survey and compiled the results in bar graph displays. Their artwork embellished the text. Geiger Brothers, publishers of the Farmer’s Almanac, agreed to publish the students’ work in a soft cover booklet and subsequently adopted the school with special help. Upon being awarded a $2000 grant from the Maine State Dept. of Education for my proposal, “Unlearning Indian Stereotypes”, another one of my fourth grade classes hosted 15 children from one of the Indian reservations. These children were paired up with some of my students for an overnight stay. We began with a cookout for our visitors – adults and children. Afterwards, the adults were treated to a Bed & Breakfast place and the children went off with their hosts. The next day we had an all-day celebration with all fourth graders participating in learning about Indian culture, dance, medicine; helping to erect a teepee, and ending with a performance my fourth graders put on for our guests. This is just a sampling of what creative teaching can and should be. 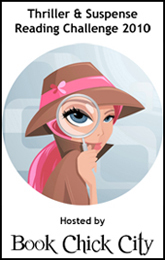 People have asked me if I’m the character Vera in the book. No, I’m not Vera or Dee although I must admit that there may be a little of me in both of them. The characters, setting, and events are purely fictional and are basically a composite of people, places, and events that I have known. * Gay men are six times more likely to attempt suicide than their straight counterparts. * We have recently commemorated the 25th anniversary of the Challenger Shuttle tragedy. * The film, “Waiting for Superman” has done a great job detailing what’s wrong with our educational system. Bill Gates, co-founder of Microsoft and one of the world’s richest men, appears in this film and explains why huge textbooks and bad teachers have to go. * Teachers’ unions across America continue to protest in great numbers. and an A– feel like a slap in the face. As someone once said: Teaching is…the profession that makes all other professions possible. I wish to honor and celebrate all good teachers everywhere who make a difference. What would you do if you were told you were going to die? What if you were told you could live forever, but in a computer? What would happen if that computer decided it wanted more of an existence? These are some of the ideas presented in Singular, the Debut novel of David F. Porteous. Mr. Porteous manages to blend science ficiton with a dose of sharp humor and pokes at some of the other areas of the science fiction world. The book is a nice blend of both the real and the surreal world. Set in the year 2045, we get to see Patrick Clark, a not so great man, as he learns that he has testicular cancer. The book enters the surreal aspect when it ventures into the world of the computer. Sometimes it seemed a little hard to understand, but by the end of the story, it all made complete sense. If you like Science Fiction, and are a fan of the Terminator and Wargames type movies, then I think you should pick this up. Be warned, that there is some stronger language, so I’d suggest for older teens or adults. A good story and I definitely look forward to Mr. Porteous’ next book. Have you ever sat and wondered about all those famous trials, and what goes on with the Media. This book gives you an insight into some of the biggies. ELian Gonzales, O.J. 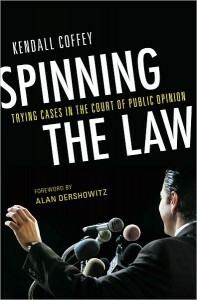 Simpson, Bush V. Gore, Michael Jackson, all and more are covered within the pages of this book. But what is spinning the law, quite simply it’s using the public opinion to affect the outcome of trials. An example is during the O.J. Simpson trial, Jeffrey Toobin, acting on a casual remark by Alan Dershowtiz, researched Mark Furhman, and discovered that Fuhrman claimed that working around minorities caused him stress, and more or less led to him being a racist. Another example is they would instruct the family of Elizan Gonzalez into how to behave on and off camera, and even to take sleeping pills and get a good nights sleep if they needed to. I thought the book was a very interesting look into the Law and into specific cases that have stood out within my memory. If you are a legal junkie, or just want a good look at how the lawyers manipulate the public and the media, then check out this book, I think you’d enjoy it. *Disclaimer* A special thanks goes out to Rubyna at FSB Associates for a review copy of this book. It in no way influenced my review. You can discuss it here or join my facebook page and discuss it there. 6) Contest will continue until 6/23/2011. 7) This giveaway is open to residents of Continental US Only. No PO Box addresses (street mailing only). 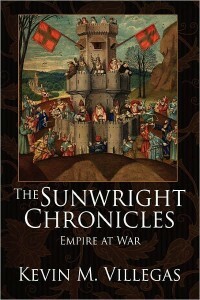 The synopsis for this book is that a 900 year old Empire is on the verge of collapse. The head of the Sunwright family and his wife have vanished. Their three children: Pershing, Tobias, and Calia are the only thing that can pull the empire together. I’ll start off with the good. The author created some characters that I liked. I could tell that what they were doing was important to them. The Battle seems were very action packed. The Bad: The book is filled with so many problems I lost track. The major problem is there were numerous grammar errors. These I can look past, because they may have just been the electronic copy I had. But the majuor problem was in the story structuring itself. There were times I had no clue what was going on. Characters would have what seemed like flashbacks, but I had no idea, the scenes just seemed to switch without any alerting the reader. There were other times where characters seemed to switch. I couldn’t tell if it was due to multiple drafts, or what happend. One minute it was Fox talking, then it was her sister Jade, then it was Fox again. At the same time Jade was on the other side of the country. This particular thing happened twice. Then there was a character named Charles who appeared to suddenly become a character named Richard, either that or Richard appeared at the same time that Charles disappeared, but I have no idea where Richard came from or where Charles went. Then on top of this, I have no idea why this struggle is going on, or why I should even care. There was no emotional involvement in it for me. I wanted to really like this. 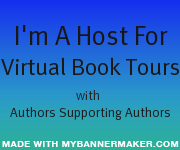 The author is an independent author, and I love to review books by authors such as this, to help give them a hand. If I could speak to the author, I’d tell him to slow down and develop the story a little more, rather than jump from plot to plot. The story is what gets the reader emotionally involved. The other thing would be to get an editor or as a friend to proofread it. I can assume from the way the book ended that more in this series are forthcoming. I hope the author has success with them, but I feel he needs to maybe go back and strengthen this book first, before he goes into tackling others. I can’t recommend it in it’s current incarnation, but to Fantasy or Epic Medievel War fans, I think if it were cleaned up some, and tightened up that Mr. Villegas would have a good product. Be sure and enter our giveaway here. 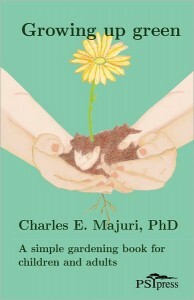 Review: Growing up green – Dr. Charles E. Majuri, PhD. Physical – It’s good Exercise, encouraging walking, bending, stretching, and it stimulates the various senses. Cognitive – It works the brain through memory, logic, safety, and judgement. Social – Promotes interaction with others, and helps develop leadership skills. Psychological – Raises self esteem and releases stress and tension. Through the course of the book he outlines how to plan your garden, a month by month gardening guide (which includes suggestions on what to plant), and how to use the book to help with children. Througout the different chapters, he also has some togetherness activities for parent and child to do. He also includes a lot of the charts, etc. that are used in the book, which could be easily copied. 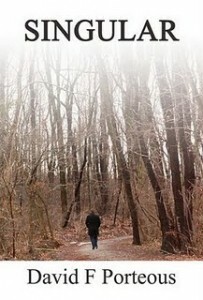 In fact, there’s an electronic copy of this for both the Kindle and the nook. That’s the one issue, I’m not sure it lends itself well since parts of it are a workbook. However, I think you could print the charts and diagrams directly from the electronic book in addition to xeroxing. Having grown up around gardening, I think this would be a very rewarding book to introduce your children to the concept, and to do so in a fun way. And the author also shows how you don’t need a large space to have a garden, so just about anyone can adapt it to their specific circumstances. If you want your child to learn some skills that could always be useful skills to have, then I’d say pick this book up. It’s a rather thin book, but I think the content is worthwhile, and I think your children would probably enjoy it.